You might not have believed it possible watching television footage of Kosovo in 1999, but these days its capital, Prishtina, is known for its vibrant café culture and warm welcome. With Ottoman influences still evident alongside the lively modernity of Rita Ora’s birthplace, there are few other destinations just three hours’ flying time from London where you’ll feel you’ve gone so far away. No wonder Lonely Planet put Kosovo in its top 10 European destinations for 2018. Accessible entirely on foot, Prishtina is a city for slow travel and taking it easy – sipping the cafes’ excellent “makiato” or local wines and beers and taking the time to see and be seen on the early evening shëtitje. This is the stroll taken by families down the long pedestrian street named after Kosovo’s most famous offspring, Mother Teresa. Flying above, from autumn to spring, the city’s extraordinary population of crows have their own shëtitje, mobbing in the dusk as the evening call to prayer wails from the city’s 15th-century Great Mosque. Visit the well-loved Ethnological Museum, made up of 18th and 19th-century houses set in a rare patch of garden and imaginatively curated, with enthusiastic and knowledgeable guides to lead the way. Free entry. At the recently renovated National Museum, the lack of exhibits – because of their confiscation by Belgrade in 1999 – has led to creative new exhibitions. The star attraction is the alien-eyed Neolithic “Goddess on the throne” pottery figure, which is also the symbol of Prishtina. One floor is dedicated to hagiographic exhibitions on Kosovo’s struggle for independence. Free entry. (Phone: 00381 38 244107). Some of Kosovo’s top attractions are a short taxi drive from the capital. Those staying in Prishtina shouldn’t miss the opportunity to see the 14th-century frescoes of the Unesco World Heritage Site, Serbian Orthodox monastery, in the nearby town of Gračanica. Free entry. Beyond Gračanica is the popular Prishtina Bear Sanctuary, the species-appropriate habitat home to 19 bears rescued from miserable illegal captivity in Kosovan restaurants. A family-friendly walk around the parkland provides views of the bears at rest and at play, with informative displays. Entry from €1, (Phone: 00383 45 826 072). Another frequent favourite is the centrally located Hotel Sirius. Doubles from €115, B&B. For lower budgets there’s the hippy grunge of the White Tree Hostel (doubles from €16 room only) but many savvy travellers opt for Airbnb accommodation; there’s a great choice of modern well-appointed apartments for around €30 per night. For Kosovan traditional dishes as well as international staples, great salads and breads, try Pishat or Home restaurants. At Miqt Taverna you can choose from a similar range frequented by a younger crowd. Tiffany’s and Renaissance offer a different approach to sampling some of Kosovo’s typical cuisine: neither has a menu, but the waiters will tell you the handful of (always excellent) dishes that are freshly made each day. Entirely un-Kosovan in menu, but delicious nevertheless is Prishtina’s first vegetarian restaurant, Babaghanoush, which has a great atmosphere and a hipster crowd. The best breakfast joint is Tartine, where waffles, cheesecake and avocado toast are all on the menu. It also offers open sandwiches and quiches for a light lunch. To enjoy your makiato coffee (or something stronger) surrounded by the city’s creatives, go to the Dit e Nat bookshop café. For a range of teas, coffees and the best hot chocolate in the Balkans, try the Prince Coffee House at the Grand Hotel. 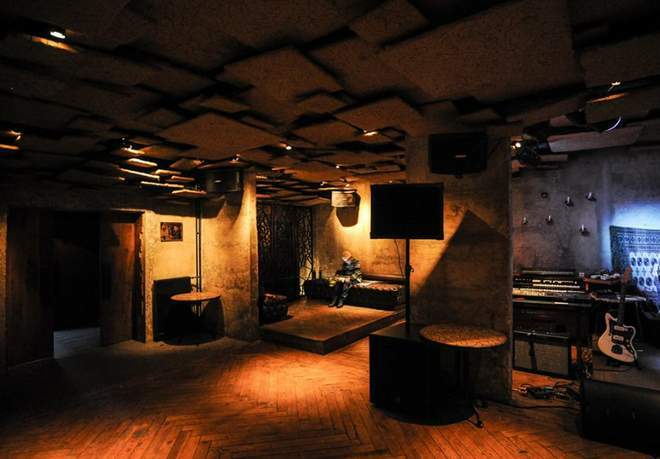 Prishtina’s beautiful people head to Soma for drinks, and maybe later to the Hamam Jazz Bar, with its eclectic programme in an award-winning palace of hip design. For somewhere less self-conscious, sip your raki at Taverna Tirona near the university, or at Traffic Bar in the buzzing area just off the main boulevard. For something a bit different, go to the Mana Board Game Bar where for €2 you get unlimited game play, including a rare chance to try the Skënderbeu strategy board game based on Albania’s 15th-century hero George Kastrioti Skanderbeg. Designer Ilire Lepaja has a treasure-trove of a shop, IL Art e Zanat, selling her cushions, bags, prints and cards using traditional motifs with modern reworking. For a bespoke souvenir, visit Krenare Rakovica’s silver filigree shop, where you can admire the intricacy of this ancient craft, watch Krenare at work and buy affordable earrings or brooches – or splurge on bigger pieces. The covered market in a fun, bustling part of town offers colourful piles of vegetables, poor quality electrical goods and enormous knickers. The best souvenir from here? Tiny saucepans just the right size for boiling a single cup of Turkish-style coffee. 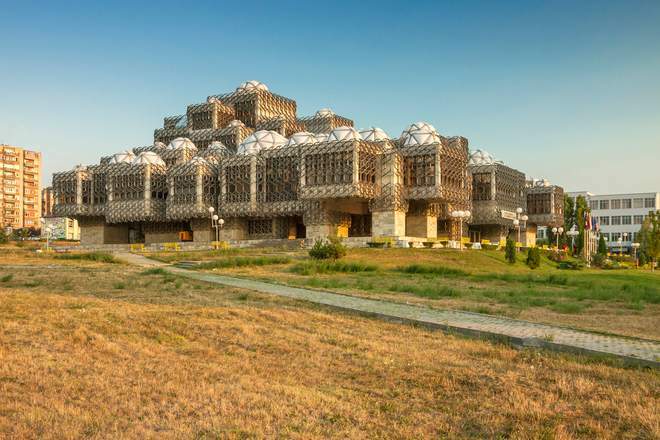 The award for most striking building goes to the National Library of Kosovo (inaugurated in 1982), which received another, more questionable, award in 2009 when it was named the ninth ugliest building in the world. Its 99 white domes (said to represent the hats of traditional Albanian costume) blend Byzantine and Islamic styles. 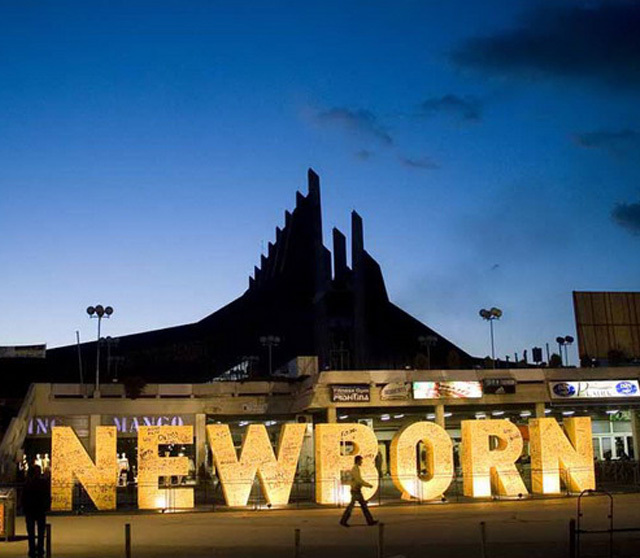 Kosovo has three official languages – Albanian, Serbian and English. In Prishtina the vast majority of the population are Albanian; in Gračanica Serbian. English is widely spoken in town and a surprising numbers of people speak German. There is no expectation but 10 per cent is a good guideline, and rewarding particularly good service with more than this is thoughtful in a country where wages are low. Three hours for direct flights. Taxis are cheap (though check they have a metre to avoid stressful haggling where you will always lose), with a €1.50 base fare. The city is compact enough to enjoy on foot. From the clocktower of the Mother Teresa Catholic Cathedral. A lift takes you up to the top for €1 but is not always available. Kosovo Albanian greetings are long and elaborate. Expect to be asked about your health, your family and – crucially – whether you are tired, which is not the criticism of your appearance that might be implied in English. The correct answer is that you are not. than to break out and travel.